Here at minicabit, we often see people travelling with the same things day in and day out – suitcases, backpacks, sporting equipment, mattresses, rugs… hang on a second, mattresses and rugs? 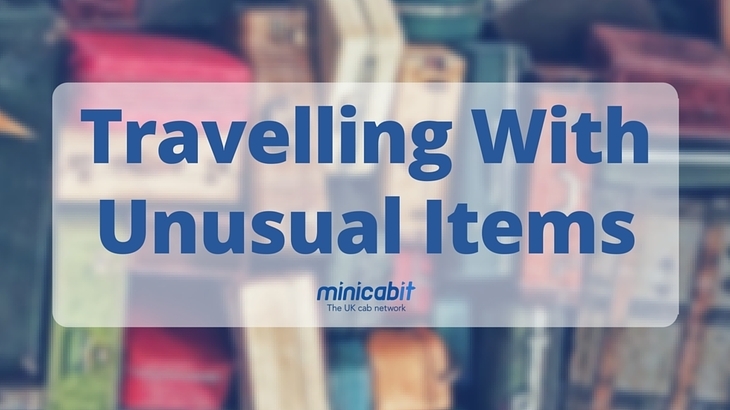 Yep, these are just a couple of the bizarre things our passengers bring with them, but never fear, our cabs are always equipped to handle the most unusual items! We’ve had passengers eager for spring-cleaning as they took a vacuum cleaner on board! We’ve seen some keen furniture shoppers or possibly some customers moving house with giant mirrors, chests of drawers, rugs and mattresses! And we’ve seen talented musicians bring their huge instruments on board. We wonder if they played the driver a tune? Alongside those items, we’ve also transported 53 pairs of skis, 85 dogs and 136 cats, though hopefully not all at the same time! What’s the strangest thing you’ve ever taken in a cab? Whatever it is, our luggage selector can tell you which cabs can take these on-board so you get the right cab to take you quickly from A to B every time! Featured, Minicabit Features, Travel Advice & Tips. permalink.